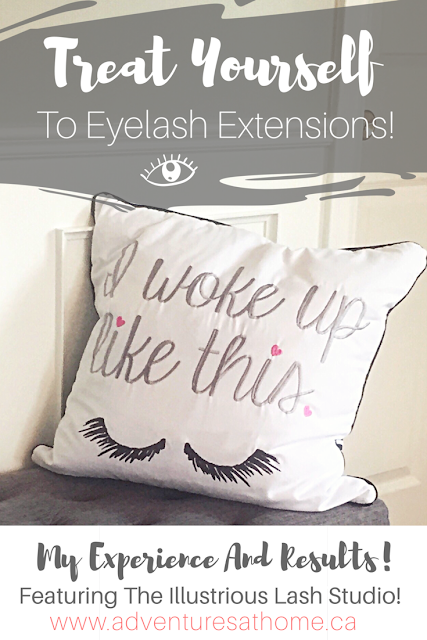 Treat Yourself Series #1- Treat Yourself To Eyelash Extentions! I am SO excited about this review! 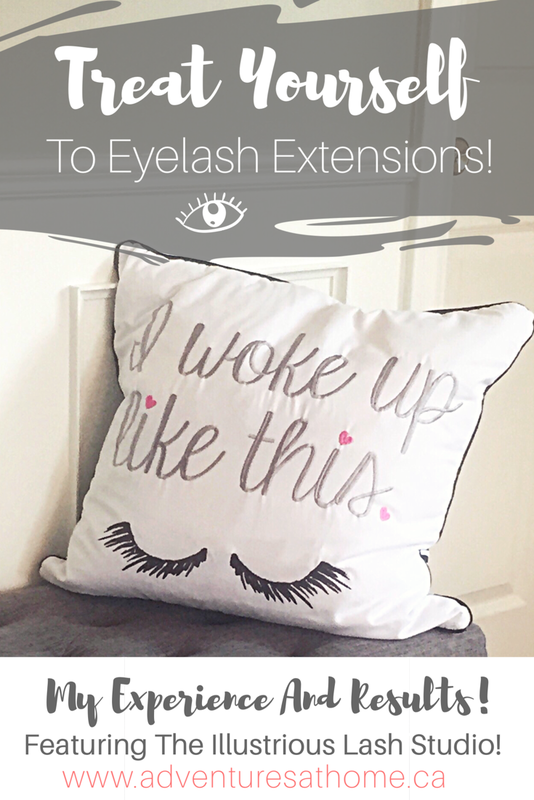 If you've been considering eyelash extensions, but are on the fence, keep reading! Disclaimer: This service was done at no cost to me, however all opinions are 100% my own. This is the first post in my new "Treat Yourself" series. I'm going to be reviewing different products and services that I think YOU might want to treat yourself to. I'll test out the service and give my honest opinions and experience. As most of you know, I am located in beautiful New Brunswick, Canada, so most of the services I'll be testing are from here. If you live here as well, I'm hoping these posts will convince you to visit some of these places yourselves and support local business. If you don't live here, I hope you enjoy reading about my experiences and maybe book your own "Treats" where you live. Lets get into my review! I had the absolute pleasure of visiting the Illustrious Lash Studio this week, and had eyelash extensions done by owner, Sudon Daigle. The location of her business was extremely easy to get to, and there was parking- which is not something you see often in downtown Fredericton. It may seem like a minor thing, but getting a service done at a place with convenient access and parking makes the experience that much more enjoyable. 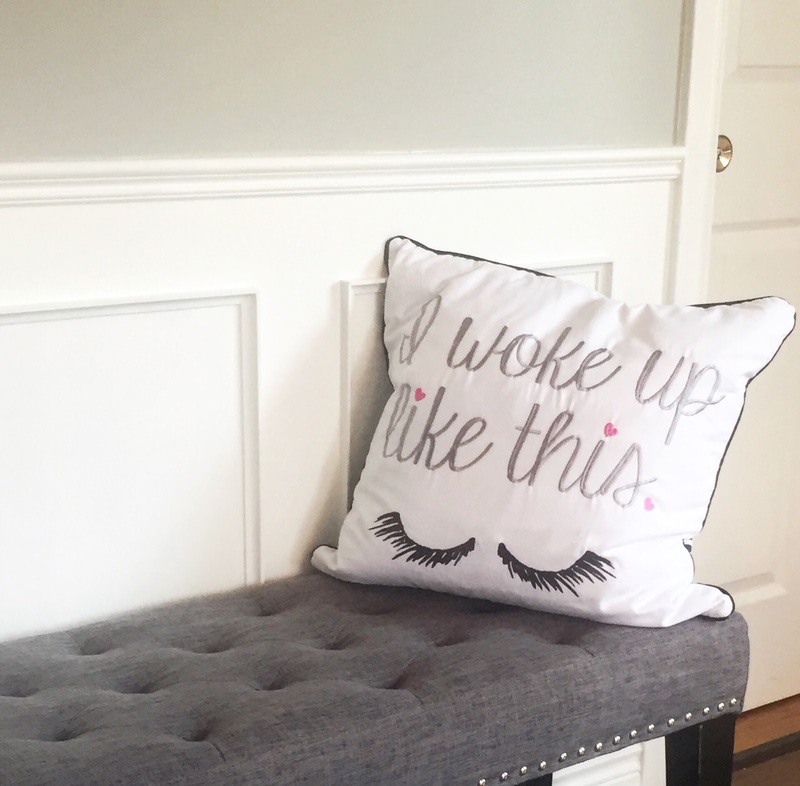 When I walked into her waiting room, I was immediately drawn to the beautiful decor and coziness of the space. It felt clean, bright and glamorous, which I loved. From the moment I met Sudon, I felt completely comfortable and at ease. She has a warm and inviting personality (along with being absolutely gorgeous) and I knew she was going to take great care of my lashes. If I'm being honest, I was a bit nervous about my appointment. I'm an introvert at heart, and being in new situations sometimes makes me anxious, but those feelings melted away within minutes of being there. If there is one thing I can say about Sudon, it's that she knows her stuff! She is a self proclaimed "lash geek" and extremely knowledgeable about all things lashes. She has over 5 years of experience doing eyelash extensions, and is certified and insured. She advised me of how important it is to visit an experienced, certified and insured lash technician- after all, these are your EYES you're messing with people. PLEASE don't compromise your eye health for a lower price or uncertified technician. She asked me questions like if I had any allergies, if I often picked at my lashes, and if I slept on my side. 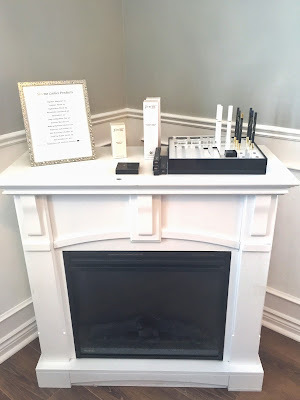 The questions she asked helped create a profile of my lashes and assisted her in determining what type of lashes and glue to use. I got comfortable on the table/bed and she explained to me how she cleans all of the tools using hospital grade disinfectant. I liked that she cleaned everything in front of me so I could see what was being done. She placed eye patches below my eyes to keep my bottom lashes covered. The patches were very comfortable and also serve as a treatment for wrinkles and puffy eyes. She began by gently washing my eyes and my lashes, and then we were ready for the lash application! Based on my natural lashes, she decided that the Humane Mink Lashes would be the best fit for me. The hardest part of the application was keeping my eyes closed for so long while being awake. For some reason, my eyes just wanted to keep blinking even though they were closed. I kept apologizing for my crazy eyes, and she was totally cool with it. She said it happens often, especially if you're not used to getting them done. My eyes moving once in a while did not effect the application, and I got used to having them closed towards the end. During the application, she played soothing background music, which I loved. She is a great conversationalist and we found lots of different things to talk about. If you're not much of a talker, you can just lay there enjoying the music while she does her thing. Moms- this is a prime time to sneak in a nap. I was there for a total of around 2 hours. When she was done, I was AMAZED at how light they were. I literally can't even feel that I am wearing lashes. They aren't itchy, they don't pull, they aren't heavy at all. I'm in love! It's important not to get the lashes wet for 24-48 hours after the application. I prepared for this by washing my hair that morning, so I wouldn't have to worry about needing to for couple of days. I also skipped my workout that night and the next day so I wouldn't get sweaty. Getting them wet too soon can loosen the glue. You also need to make sure not to use any oil based or waterproof products- so make sure to check your make-up removers and cleansers for oil. To cleanse the lashes, use an angled sponge and water. Sudon sells lash serum that can help protect the lashes, along with other products. As I write this, it's been two days since my lash application. I've been trying to sleep on my back as recommended but always wake up with half my face in the pillow- and my lashes still look perfect. I've barely had to brush them (they provide a little mascara type brush for you to use) because the lashes aren't twisted, crossing, or getting stuck in any weird ways. They literally look as good as right after she did them. I know it's only been 2 days, but I've got a great feeling that they will continue to impress me. I can not wait for my first fill, because it's such a relaxing experience and it felt really good to do something nice for myself for once. We all deserve a little treat every once in a while. 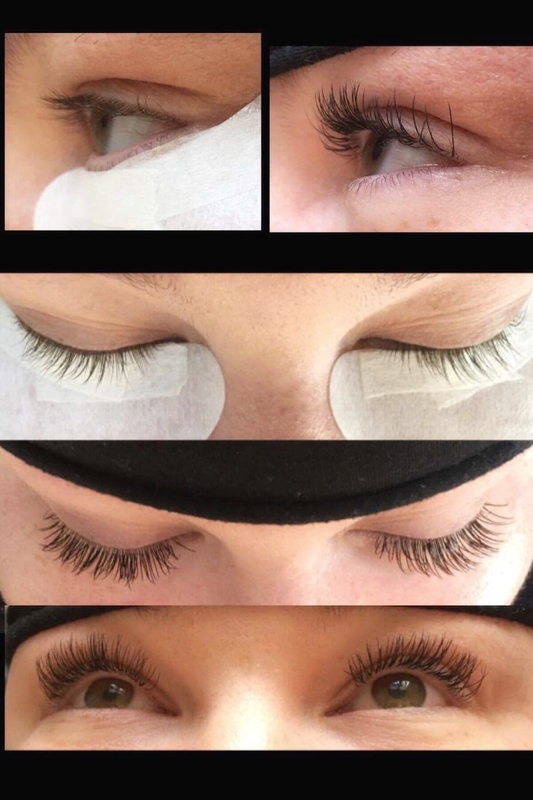 If you are in the Fredericton area or plan on visiting and want your lashes done, PLEASE contact Sudon- you will not be disappointed. Her prices are fair and competitive, her professionalism is top notch and the quality is amazing. Booking an appointment is super easy and can be done online!! Comment below and tell me if this is something you would try! Have you ever gotten lash extensions? I'd love to hear about your experiences! Those are so pretty! I have really been wanting to try extensions!